Making the move to Europe has proven to be a highly successful strategy for many non-European franchise concepts. The continent offers tremendous opportunities and efficiencies. However, entering a foreign market is challenging, particularly when that market consists of 28 very distinct entities. Working with an experienced network with local knowledge and expertise can make such a move less risky. The European Union, an organization of 28 different countries, generates a combined GDP second only to that of the United States. In fact, the EU’s GDP has accelerated faster than the U.S. GDP in recent years. 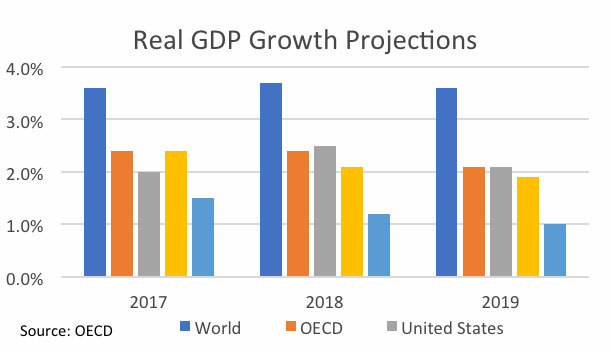 What’s more, growth projections assume continued economic expansion in Europe, particularly for the 19 European countries that use the euro as their common currency. 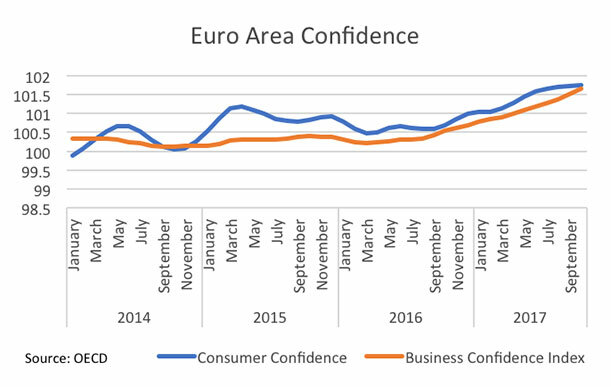 Both consumers and businesses in Europe remain bullish about their economic prospects, and their confidence has steadily increased since 2014, despite the looming Brexit and the earlier euro crisis. Not surprisingly, Europe presents a highly attractive market for non-European franchise systems, and many well-known brands have expanded into and across Europe over the last decades. Thousands of domestic and international franchises operate in Europe. As of 2017, the number of franchise brands per country ranges from about 100 for Slovenia to around 1,800 in France. This compares with some 3,500 active concepts in the U.S., a country with almost five times the population of France. Based on estimates, there are between 500,000 and 700,000 franchised locations in Europe, compared with some 750,000 in the U.S., where economic output generated by franchise brands stands at more than $700 billion. In Europe, that figure stands at about $515 billion. All these factors seem to point toward significant growth opportunities for franchising in Europe, given that Europe’s population of 511 million is much larger than that of the United States. What challenges await franchise brands? So, what is to keep a brand from expanding in Europe? The main sets of challenges include maneuvering through the local franchise environment, adapting the brand’s product or service to the local market, and finding the holy grail: a qualified franchise partner. Despite many EU-wide regulations, the EU consists of 28 member states with distinct market regulations. Even if you target only three or four countries to start with, you will still need to maneuver through three or four very different markets, cultures, languages, and economies. Some countries have passed franchise laws and regulations similar to those in the U.S. (Spain, for example). Others have no franchise regulations (surprise: Germany). Without local expertise to guide aspiring franchisors, the move into Europe could come with costly legal mistakes. U.S. brands have an advantage in that they have had to follow U.S. Federal Trade Commission regulations for decades. However, that does not mean they can rely on their disclosure and legal experience alone. For example, proof of concept rules in some markets may require foreign brands to establish a pilot unit before offering franchises, even though they have operated businesses in their domestic markets for years. To get over the initial cultural hurdles, many U.S. brands have historically started with the U.K. because of a common language. For the same reason, Spain is also an attractive entry point into Europe. Most U.S. brands have Spanish-language versions of their materials ready, as Spanish is widely spoken in the country. Ohers have master franchise partners in Latin America with connections to Spain who then decide to buy the rights for Spain as well. And yet, even the U.K. is littered with examples of U.S. brands that needed two or three attempts to establish their concept. After all, as former British Prime Minister Winston Churchill said: “The English and the Americans are two peoples divided by a common language.” What is more, culture is even a hurdle for European brands. Just ask German concepts with plans to enter Switzerland, a country with which it shares a border, a language, and several other things. Besides, with the U.K. and Spain, brands cover only two of the five largest European economies. 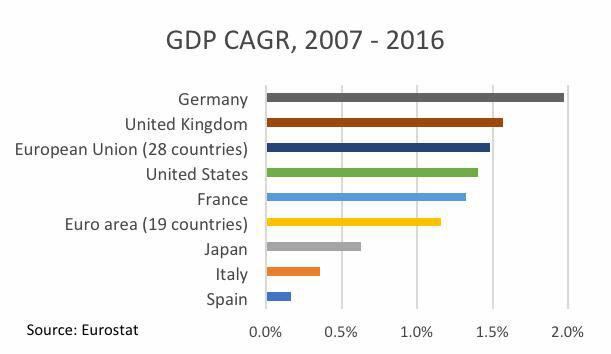 What about Germany, France, and Italy plus additional countries with smaller but still highly attractive markets? This is why, in 2004, Franchise Pool International (FPI) was created as an initiative of the German Franchise Association (Deutscher Franchise Verband). Since 2006, FPI — a network of independent franchise consultants covering 32 countries, 26 in Europe in addition to the Middle East and Canada — has operated independently from the association. Local expertise aside, FPI remains the single source for reaching 32 countries with one call. Each client has a designated FPI account manager, whose role is to liaise with their European colleagues and provide each client with a single point of contact for all FPI services, including brokerage and consulting services. In addition, FPI has teamed up with one of Europe’s top franchise lawyers, which helps to address various legal questions. FPI’s brokerage, consulting, and legal services (all with one contact for 32 markets) have successfully supported franchise systems in their international expansion strategies. 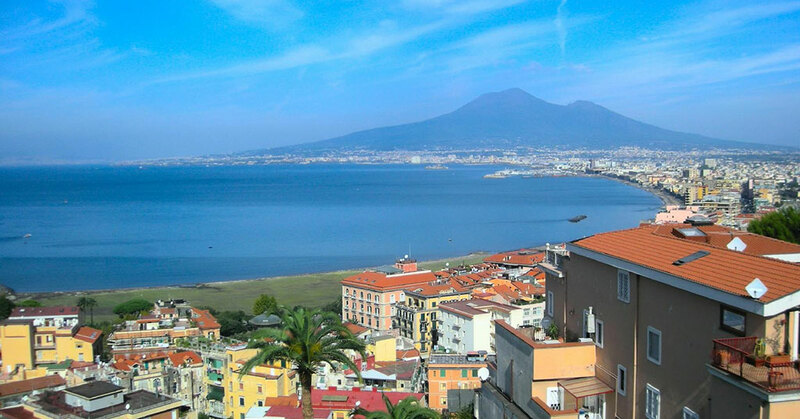 If you are ready to go to Europe or want to learn more about what it takes to enter any of the 32 countries covered by FPI, we extend an invitation to our Global Franchise Forum, which will take place in Naples, Italy April 17–19, 2018.